VAIL is hiring for a full-time Community Living Specialist and a part-time Program Support Specialist. 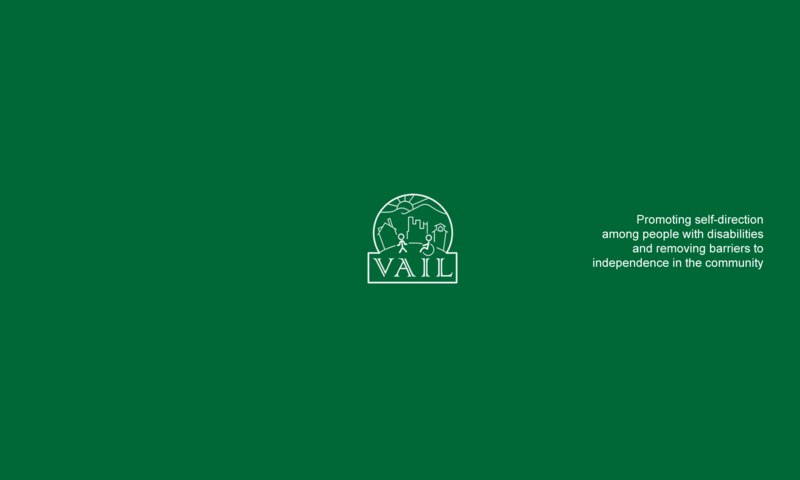 Please send a resume and cover letter to vail@govail.org. Individuals with disabilities are encouraged to apply. – As of January 5, HUD failed to renew 650 rental assistance contracts that had expired in December prior to the shutdown. The 650 contracts that HUD don’t renew in December will affect roughly 21,500 low-income households. Roughly two-thirds of these households are elderly or who have disabilities; on average, these households have incomes of less than $13,000 per year. – The number of expiring contracts will increase as time goes on, as HUD anticipates approximately 500 additional contracts (affecting another 20,000 households) will expire and be up for renewal in January and 550 in February. – The Section 202 program provides affordable housing to about 400,000 older adults with average annual incomes of $13,300. Contracts that provide ongoing operating subsidies to the nation’s almost 6,700 Section 202 communities are at risk of not being renewed. – If the shutdown is not resolved by the end of February, PHAs (Public Housing Authorities) will not be able to make timely payments to landlords expecting rent subsidies on March 1. This could have dire consequences for recipients of rental assistance, as they will have to either pay their rent in full or could face eviction. – Because of the uncertainty around funding caused by the shutdown, PHAs will be unable to approve families on the waiting list for vouchers that have been turned over by families who have exited the program. As a result, these vouchers will go unused. – Over a quarter million families in rural communities rely on USDA rental assistance to afford a roof over their head. USDA hasn’t provided any information about housing benefits for January. If the shutdown continues, seniors, people with disabilities, families with children, and other individuals risk facing eviction, or in worst cases, homelessness. – Homeowners who need assistance to heat their homes or repair leaky roofs are being forced to continue to live in substandard conditions. – Congress last February appropriated $16 billion in funding to be used for projects to better safeguard communities damaged by the 2017 floods and hurricanes in Puerto Rico, Texas, Louisiana, the U.S. Virgin Islands, and Florida. HUD has yet to issue guidance for this money. The shutdown will also delay guidance for the $1.68 billion in disaster relief funding that Congress passed in October 2018 for states impacted by Hurricane Florence. The Campaign for Housing and Community Development Funding (CHCDF) is an education, strategy and action hub for national organizations dedicated to adequate federal housing and community development funding for lower income families and communities. CHCDF’s members represent a full continuum of national housing and community development organizations, including more than 70 faith-based, private sector, financial/intermediary public sector and advocacy groups. CHCDF is staffed by the National Low Income Housing Coalition. For more information, contact Elayne Weiss, Senior Policy Analyst, at eweiss@nlihc.org or 202-507-7262. House Bill 2296 and Senate Bill 1302 have been introduced in the 2019 Virginia General Assembly Session. These bills would require a person who is blind or vision impaired or deaf or hard of hearing who finds that a bank or other financial institution’s website is inaccessible to notify the bank about the inaccessible website and give them at least four months to comply with ADA before one could file a lawsuit under the Americans with Disabilities Act (ADA) or other disability rights law. The bills place the burden of responsibility on the individual to take screen shots of the noncompliant websites and send this evidence by certified mail to the violating entity. Other words, an entity would have no reason to comply with the ADA to make their websites accessible until someone gave them evidence of what is not accessible and takes action to bring a civil action in court. Like the bill introduced in last year (SB199), this bill seeks to weaken the right of people with disabilities to seek redress in the courts, a right guaranteed by the Americans with Disabilities Act (ADA). We defeated SB 199 and we must act to defeat this attempt to diminish our civil rights, too. This legislation appears to be part of a nationwide effort to challenge the ADA. That effort to weaken disability rights includes bills introduced in numerous state legislatures throughout the country and bills introduced in Congress that would weaken federal law. Supporters of these bills have raised concerns about the misuse of disability rights by attorneys to leverage attorney fees. The courts and the State Bar can deal with those problems in better ways, without taking away the rights of people with disabilities. If websites were accessible, the need to bring legal action to compel accessibility would be moot. If this new bill in Virginia isn’t withdrawn or defeated, it could lead to a new effort to adopt a bill like SB199 which required notification and a period of cure before a Virginian with a disability could commence a lawsuit to challenge violations of the accessibility requirements of any disability rights law in a Virginia court. HB2296 and SB1302 fail to acknowledge the goodwill that people with disabilities and businesses have developed to expand access. The bills establish an adversarial process and will make it more difficult to work with businesses that need to make their websites accessible. Action needed immediately. Contact the patrons of the bills. Let them know that HB2296/SB1302 will make it harder for people to access websites, why having access to websites of banks and credit unions is important, and the bills would eliminate any reason for financial institutions to make their websites accessible until someone took action against the institution. DON’T LET IT HAPPEN! We MUST ACT NOW to protect our rights! VAIL is offering a workshop for individuals with disabilities in the Harrisonburg area to learna bout their rights under Fair Housing law. September 24, 2018 from 1-2 PM at the J.R. Polly Lineweaver Apartment building, 1st floor activity room. RSVP 540-433-6513. This event is being funded through the City of Harrisonburg’s Community Development Block Grant.